Over 200 albums have made it to our review pages as we approach the end of November. There were at least twice that number which didn't reach the review stage. Some of them were good, some were very good and some were not so good, Nevertheless, all were worthy of mention. However, time and tide, as the saying goes, doesn't hang around. So I'm not even going to attempt an Album of the Year. The music has just been so good that rating one above the other would, not only be beyond me but an insult to those bands/artists who missed the cut. Having said all that, one album that must be mentioned is one you can't buy and may, by now, be a collector's item I'm talking about Colin Aitchison's lovingly produced tribute to his dad. 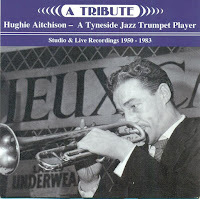 A compilation of trumpet player Hughie Aitchison playing and recording with various Tyneside bands. Records like this are Hors Categorie. 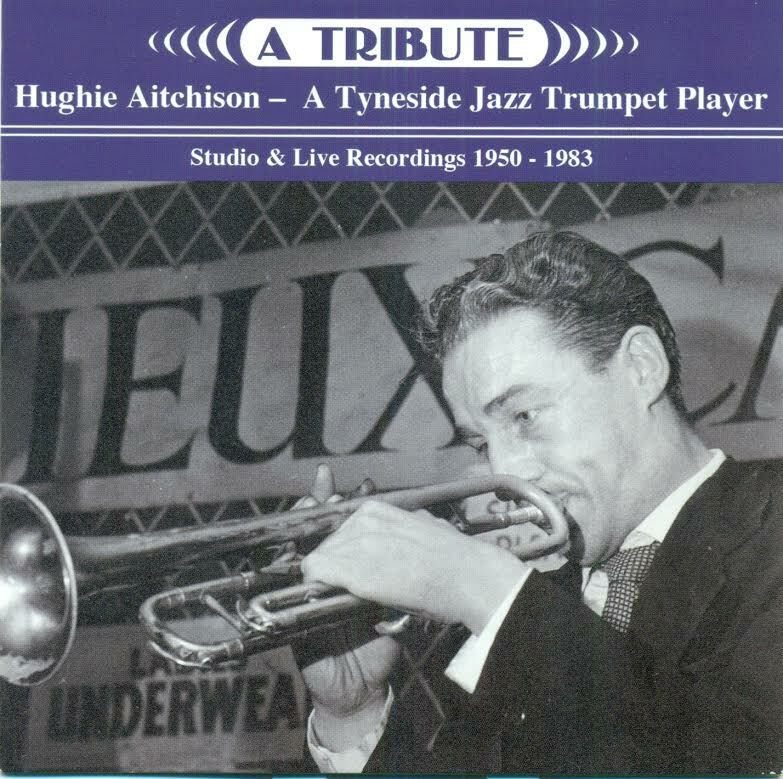 A Tribute: Hughie Aitchison - A Tyneside Jazz Trumpet Player. Ayanna Witter Johnson, cellist, pianist,,singer - songwriter and the only non-American to win Amateur Night Live at the legendary Apollo Theatre in Harlem will be starting her show at the Jazz Cafe on December 9 at the earlier than advertised time of 7.00pm instead of 9.00pm. 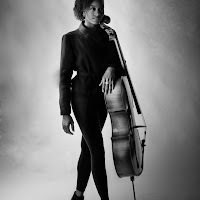 Ayanna, who cut her musical teeth in projects led by Jason Yarde alongside Julian Siegel, Seb Rochford and Neil Charles, went on to be featured artist in Courtney Pine's Afropeans and to tour internationally with Laura Mvula, Norah Jones and others. Tickets from the Cafe on 0191 222 9882. Also, a reminder that, this coming Friday (December 2), Paul Gowland and Caroline Gruell replace the previously advertised pairing of Pete Gilligan and Alice Grace. This one does start at 9pm and admission is free. (Lyrical review by Annie O'Donnell). I can’t say that I ever watched the animated television series, Mr. Benn. Although shown in the 1970s, I’d never actually heard of it until now! Lamont (senior) wrote the original music for the Mr Benn series and, going by this 2011 recording, his talents as a composer and arranger haven't diminished. After viewing Fenwick's legendary Christmas window and completing your shopping you'll probably feel like having a cup of tea in Fenwick's Terrace Tearoom. As you sip your Earl Grey you may also care to reflect upon the musical history of the restaurant. 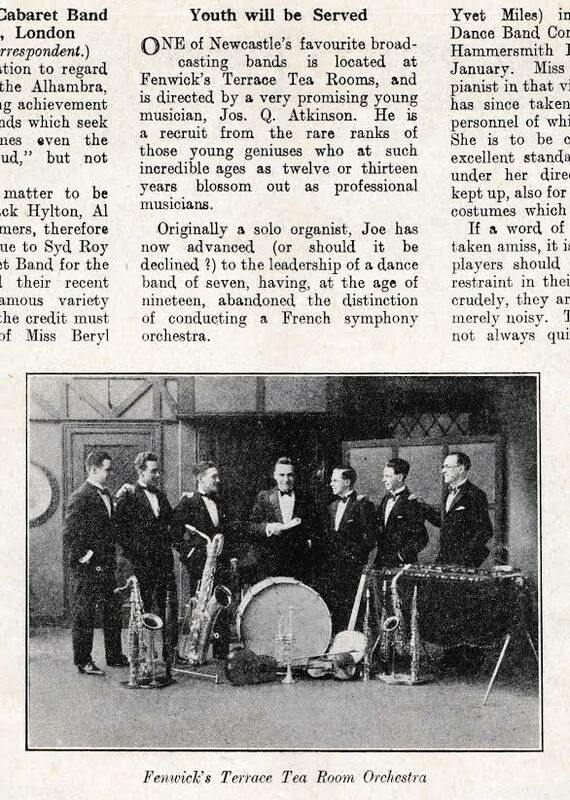 In the early '20s Billy Ternent was the resident bandleader and in 1927 Jos Q. Atkinson took over whilst, in the postwar years, clarinetist Willie Walker was at the helm. Colin Aitchison kindly sent me this snippet from the May edition of Melody Maker. 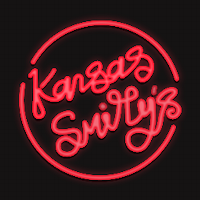 CD Review: Kansas Smitty's House Band's - Kansas Smitty's Live. 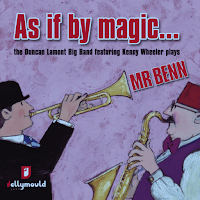 'Sweet Pete' Horsfall (trumpet/vocal); Giacomo Smith (alto); Adrian Cox (clarinet); Dave Archer (guitar); Joe Webb (piano); Ferg Ireland (bass); Pedro Segundo (drums) + Marcus Bonfanti (guitar and vocal) on Messin' Around No More. After the Basin St. Brawlers at Darlington, The Classic Jazz Party (which I reluctantly had to forego), and last night's Globe session by the House of the Black Gardenia, it seems that music from an earlier age can still be a force today. This album reinforces that belief. Recorded live at their East London HQ, Kansas Smitty's House Band is a small swing group creating waves in the capital. This, their second CD, comprises original compositions by various permutations of Webb, Smith, Ireland and Horsfall. (Quote), Bend their knee to what has gone before but they have their eye fixed firmly on the now. The House of the Black Gardenia @ The Globe Jazz Bar - November 27. Upstairs, they were tangoing, downstairs, they were lindy hopping. Upstairs and downstairs they were having fun. Which is what it's all about. The inhabitants of the Black Gardenia House provided a raucous, raunchy, revival of good old-fashioned entertainment. The audience loved it as they danced away their shoes. These guys (and gal) draw their repertoire from the early, exciting days of jazz and blues and dance music. The music that provided the bedrock for the music of today and it's to their credit that young musicians such as these are prepared to embrace the past as well as looking to the future. It augers well for the music we love. Decathlete Daley Thompson trained on Christmas Day. He assumed his major rivals were doing likewise, if they weren’t, he would be one step ahead. That’s dedication for you. 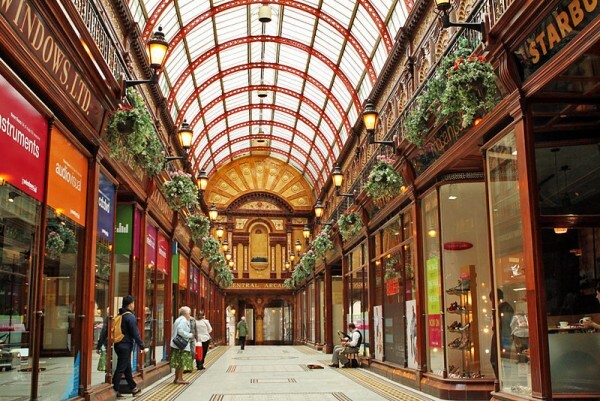 In Newcastle’s Central Arcade at an early hour this Saturday morning two young musicians were out busking. Young Tyneside musicians Dylan Thompson and Alex Shipsey braved the cold as they worked on a few things. The Headhunters’ Chameleon and a Miles Davis modal piece sounded good. Dylan sitting on a beat box, Alex knocking out the bass lines, these Early Birds are doing the business. Jazz Lives! Durham correspondent Tony Eales reports that a good number of Durham folk turned out on a cold November night to hear Mick Shoulder’s Swing Manouche at Ushaw College. The Francis Thompson Room, with its plush Chesterfields, extended a warm welcome to lovers of matters Manouche. Bandleader Shoulder demonstrated equal facility as a guitar player – forsaking his usual double bass role – alongside Hot Club master guitarist Giles Strong. 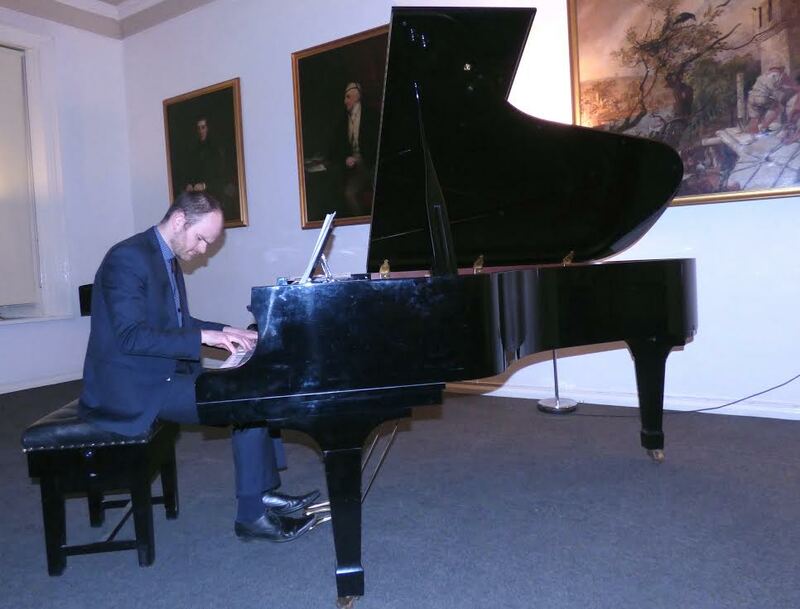 Pianist Paul Edis left the Steinway behind at Edis Towers, preferring to turn up at Ushaw with a clarinet! December’s concert at Ushaw College is a major affair. An astounding seven piece band led by Alan Barnes will present his seasonal A Jazz Christmas Carol. Make a note of the date – Saturday 17th December. It starts at 7:30pm, tickets are a bargain at seven pounds, and, for such a paltry sum, you will get to hear Barnes, Bruce Adams, Mark Nightingale, Robert Fowler and a rhythm section of Dave Newton, Simon Thorpe and Clark Tracey! Christmas has come early! To buy that ideal Christmas present of two tickets (more if so desired), telephone Ushaw College now: 0191 334 5119. 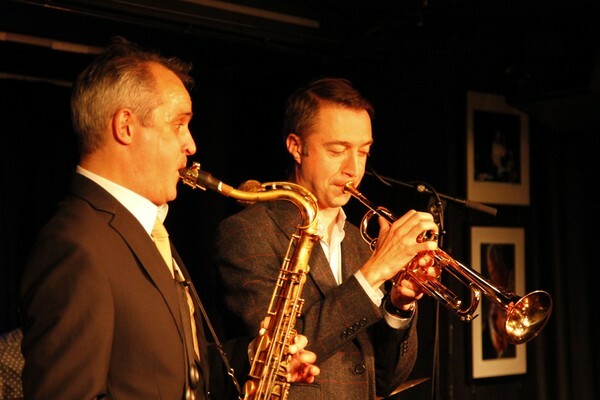 Josh Kemp (tenor); Martin Shaw (trumpet); Matt Ratcliffe (Nord C20); Dave Walsh (drums). This wasn't quite the anticipated line-up. We knew in advance that Martin Shaw was stepping in for Steve Fishwick, what we didn't know was that neither Tim Giles nor Ross Stanley were with us either. Those who'd been impressed by Stanley's recent appearances in the area with Nigel Price must have been particularly disappointed. However, in fairness to Ratcliffe he proved to be a more than able dep and, by the end of the evening, it was a case of "Ross who?" Likewise with Dave Walsh. (Review by Russell/photo from BSH archive). The last one of the year. The Strictly Smokin’ Big Band’s monthly open rehearsal night saw one or two deps in, perhaps the regulars were Christmas shopping or maybe stranded at a distant Metro station thanks to day-long delays on Tyne and Wear’s so-called ‘rapid’ transit system. Audience numbers were down slightly making available a couple of seats. Vocalist F’reez sang about seeing on a clear day and walking his baby back home. Alice Grace sang about being too darn hot. Benny Golson’s Whisper Not heard several roaring solos courtesy of Messrs Paul Gowland, Michael Lamb, Jamie Toms and Steve Summers. The band ran through a Bill Holman arrangement of Stevie Wonder as prep for their next gig. The session was very much ‘workshop’ rather than ‘polished concert performance’. Tom Thorp’s Mercury arrived at the Jazz Café in good time and just in time. Three of the band arrived safely, the others were delayed in traffic due to an accident on the A1. Cross Pennine traffic can be heavy at the best of times, the Friday evening commuter rush hour isn’t ideal if you’re due on stage later in the evening. Manchester to Newcastle negotiated without further mishap, the quintet set-up, soundchecked and found time to take five. Another Friday lunchtime, another full house. Yes, jazz at the Lit and Phil goes from strength to strength. 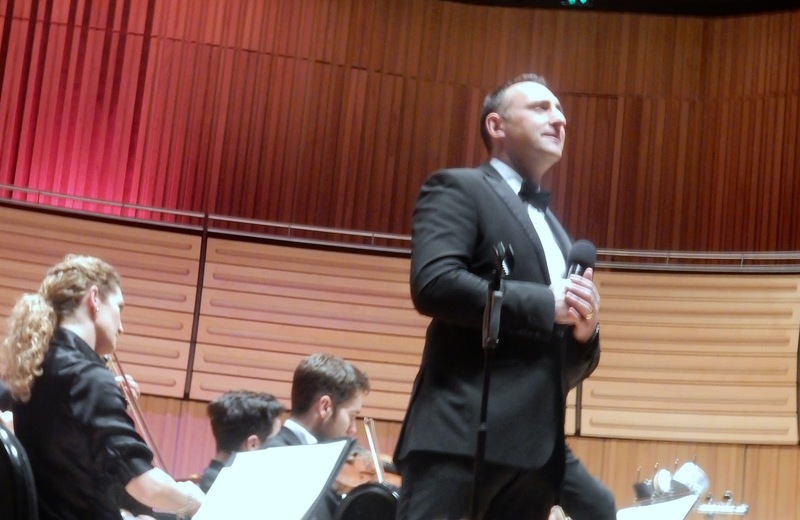 November’s concert presented Graham Hardy and Paul Edis in a programme of original compositions and standards. The first five of ten tunes were, in order, written by Edis, Edis, Hardy, Edis and Hardy, of which two received a premiere public performance. Hardy opened on flugelhorn on Edis’ McCoin a Phrase and 63 Years. 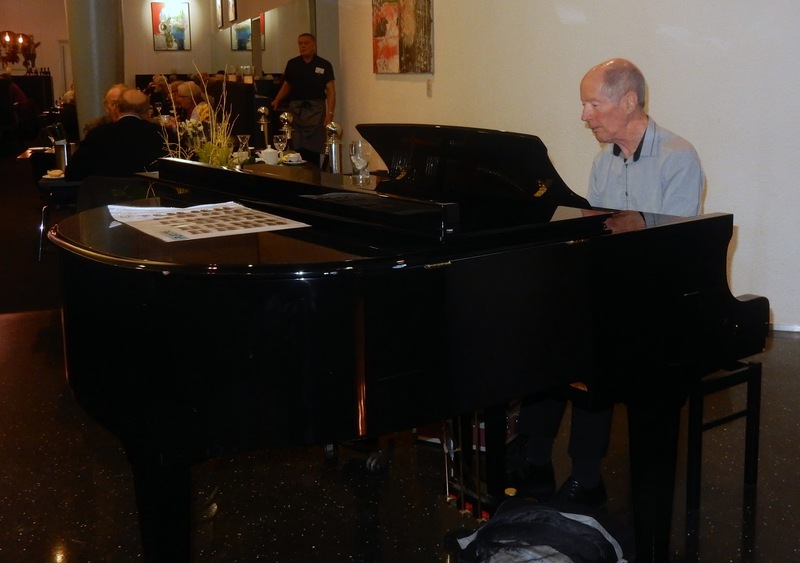 The former a nod to McCoy Tyner, the latter a commission to celebrate the eightieth birthdays of a couple who had notched up 63 years –and counting – together. Boot Tree Blues (take a walk in Heaton Park and you’ll chance upon the tune’s inspiration, a kind of DIY art installation) featured the composer G.Hardy playing trumpet. 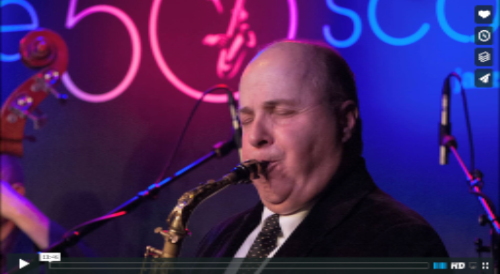 Check out this short documentary of a New York musician - Lou Caputo. You may not know him, but he's played at Ronnie's and had an interesting life. You get good value with this band, 2 singers, Fi for the more tender-hearted songs and Jude for the rockier offerings. Good stomping value, from the first item, The Message, solos all round and 4’s with tenor sax and drums, right through to the final numbers with guest Dave on muted cornet for Yardbird Suite and Take the A Train. The cornet was never like this in brass bands! 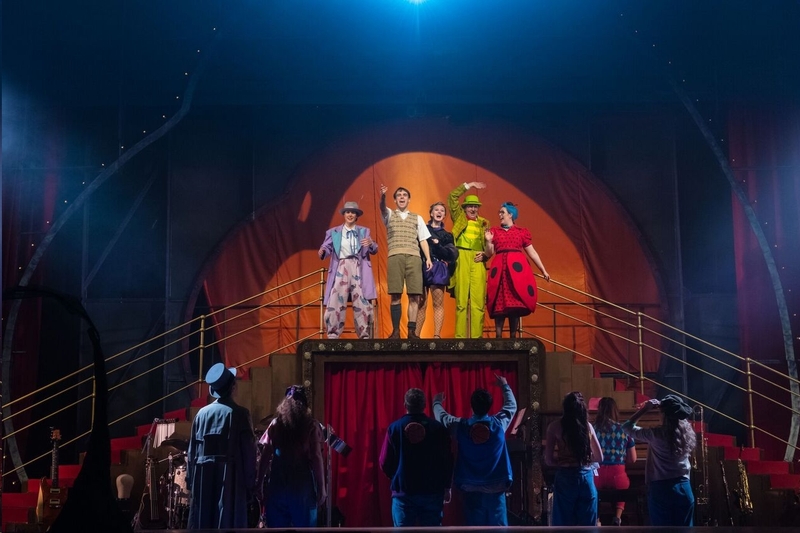 James & The Giant Peach @ Northern Stage - November 24. The Metro system had ground to a halt, the buses were emulating sardine cans and taxis were in great demand and yet, thanks to a rather large peach, I was transported, not just to Northern Stage, or even Manhattan, but, for 2 hours, back to a time when I was maybe 8 to 11 years old. David Wood's adaption of the Roald Dahl children's classic was so well done that it became ageless. Indeed, at times it seemed as though the parents were enjoying it as much, if not more so than their offspring. The adventures of the reluctant hero James and his insect friends as they crossed the Atlantic in a giant peach were beautifully choreographed. The hoofing (dancing) and the songs, composed by Jeremy Bradfield, were very much in the pre-war Hollywood/Broadway musical tradition and it was, literally a non-stop (apart from the interval} whirl. Rarely can the King’s Hall have seen a crowd like this. All seats taken, it was standing room only at the back of the hall and down either side, some sitting on the floor. 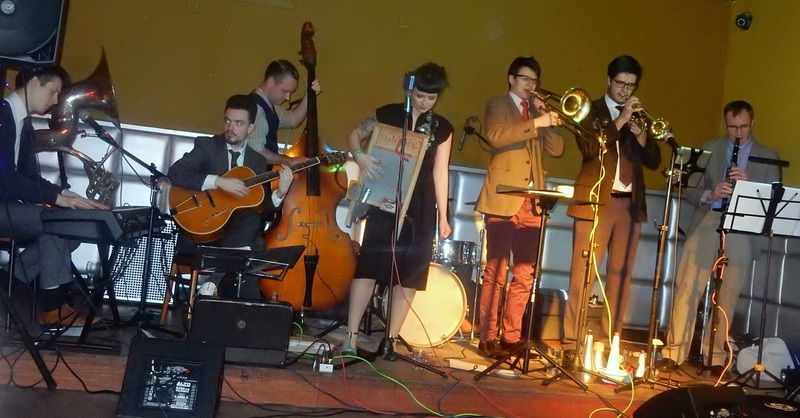 They were there to hear Emma Fisk’s Hot Club du Nord. 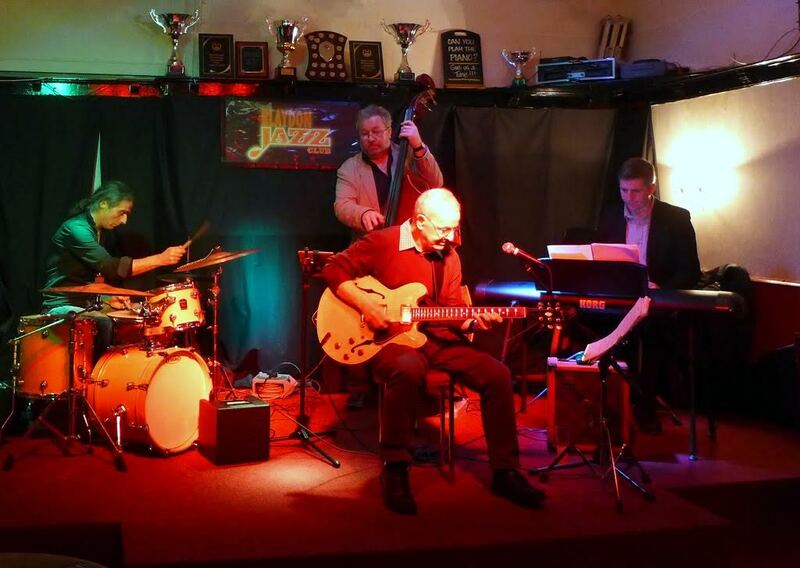 The quartet recently played a debut concert at Blaydon Jazz Club, evidently, word got around, this is one band you’ve just got to hear. Nine numbers in fifty minutes, solos receiving rapturous applause, ‘Vivre le Hot Club!’ Violinist Fisk asked the audience if they were fans of Django and Stéphane. A forest of hands shot up. One nil to Hot Club du Nord. Coquette for openers, the bewitching I’m Confessin’ – Fisk magnificent – and Django’s Belleville. 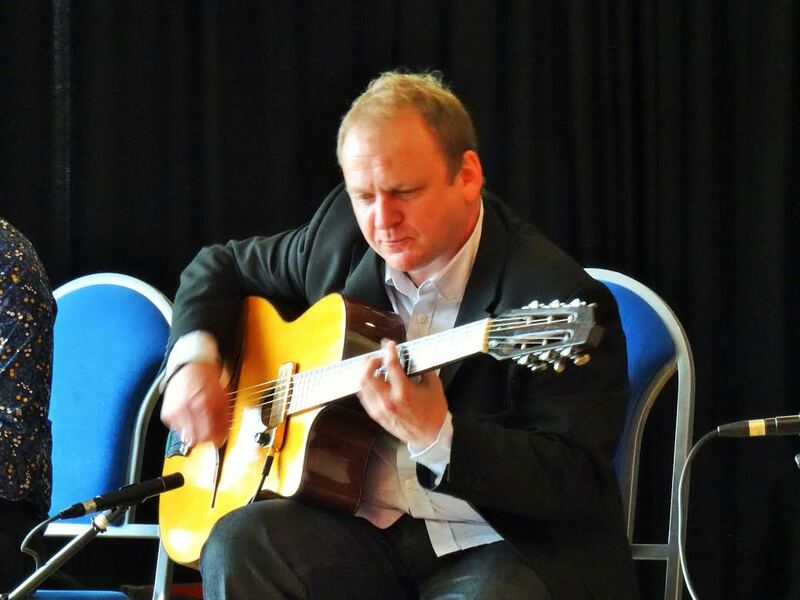 Guitarists Dr James Birkett and Dave Harris (Newcastle University’s programme notes according him his Sunday name – David) shared rhythm duties as one or other took off on fabulous solo flights. The man at the back, Mr Bruce Rollo, slap bass exponent par excellence, surveyed the scene, taking it all in his stride. In terms of artists featured, it's hard to imagine there's a better festival anywhere in the world. The first time there's been something I'd really like to see every night over the ten: Gil Evans tribute feat Andy Sheppard, Kandace Springs, James Blood Ulmer, Robert Glasper, Dave Holland etc., Christian Scott, Marcus Strickland, William Bell, Murray/Carrington/Allen and Wayne Shorter. And that means missing Garbarek/Gurtu and the Cookers and not including afternoons (including Zoe/Andy) and late night sessions. And some will no doubt be screaming at their computer over someone I've excluded. 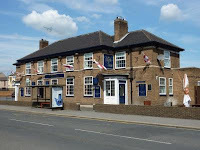 However, for someone who grew up in a small city and lives in a large hamlet 250 miles north, it can all be a bit daunting and there's always a sense of relief at the end of it all: no tickets lost, all trains caught, connections made, venues found. 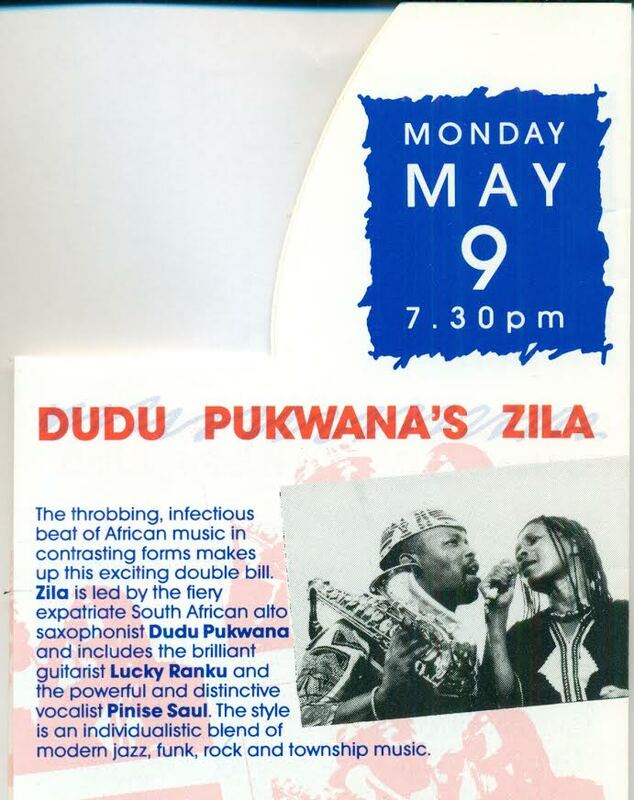 In the eighties, Newcastle audiences were privileged to hear South African singer Pinise Saul. A cast member of Ipi Tombi, Saul stayed on after the show’s London run. Friends with Miriam Makeba and Hugh Masekela, Saul began working with Dudu Pukwana and Lucky Ranku. 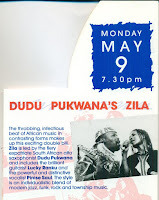 Pukwana’s Zila played gigs at Live Theatre on Newcastle’s Quayside and performed at the 1988 Newcastle Jazz Festival. 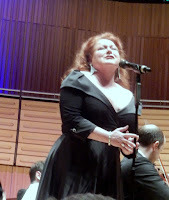 Chris Yates’ festival notes said of Pinise Saul: the powerful and distinctive vocalist. Those present on that occasion (May 9, 1988) will testify to that. Pinise Saul’s experience of the apartheid years informed her world view and took part in African National Congress concerts. Singer and activist, Pinise Saul died on October 26, 2016. 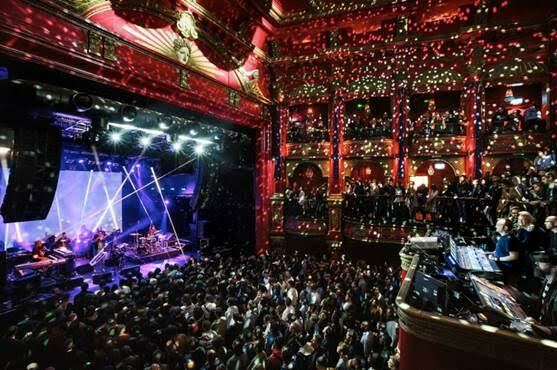 Over 2000 artists played 300 gigs and concerts to packed houses in more than 50 venues, from clubs to concert halls, in every corner of the capital. We saw dramatic new commissions, breath-taking re-imaginations, and exquisite musicianship of all kinds, edge-of-the-seat solos and plenty more besides. There were free performances enjoyed by thousands, concerts and workshops specifically for children and young people, and a fantastic mass-participation premiere with participants from ages 12 to 81. 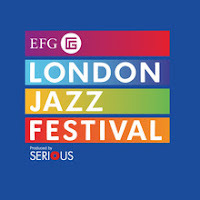 This was the 2016 EFG London Jazz Festival. 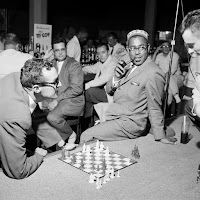 New, innovative online gallery, Storiesonwalls.com launches with Chicago’s Original Jazz Joints, an exhibition featuring 12 rarely seen photographs of jazz greats Miles Davies, Dizzy Gillespie, John Coltrane, Duke Ellington, Louis Armstrong and Sarah Vaughan among others, all shot by legendary African American photographer Ted Williams. The Globe's the place to be this coming Friday, Saturday and Sunday. Critically acclaimed saxophonist Josh Kemp brings his new Hammond Organ based ensemble to The Globe as part of his 2016 tour to promote his new album 'Rare Groove'. The album delivers high-energy jazz with an enjoyable and relaxed groove, taking inspiration from the classic era of Blue-Note jazz, combined with contemporary inflections of rhythm and harmony, all delivered with style and quality from a band of top-class musicians. Relocated from the Empty Shop to Durham Castle for one night only and a guest musician relocated from Birmingham for a sleep. Logistics meant by the time I got there with a guitar it was already in full swing and sounding good. 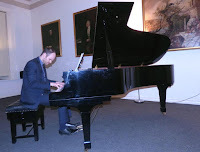 Matthew Jacobs, playing keyboard, seems to be chief organiser in amongst his degree in maths and physics, which is pretty impressive in itself. Dylan Purdes held on to the bass for the night and Will Elias was the second of two drummers but the other escaped before I could accost him. The tenor player who was up when I got there also got away. 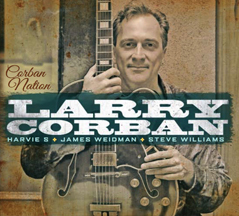 Larry Corban (guitar); Harvie S (bass/bass guitar); James Weidman (piano/B3); Steve Williams (drums) + Steve Slagle (soprano/alto). Well, all that arrived today was a catalogue from The House of Bath offering bargains galore - why do these catalogue people have to use such shiny paper? So, tonight it was just me and Larry Corban and the Aperturistic Trio plus, on three tracks, Steve Slagle. 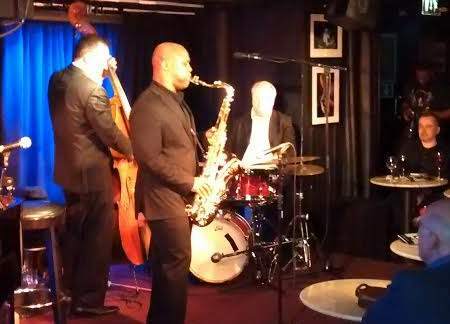 JD Allen (tenor), Gregg August (bass), Sebastiaan de Krom (drums). The Jazz life can be a lonely one, being what Gareth Lockrane referred to as the jazz kid at school. It was easier in my day when the jazz kid was held in quiet reverence, but I imagine half the gigs I've been to in my life have been on my own. Having bumped into Lindsay, baritone player from the Durham Gala Big Band, before the MCA Power Trio earlier that evening, we headed off to Pizza Express together for pizza, wine, cworfee (sic) and the second of the this Saturday’s Tenor Titans. David Murray, Terri Lyne Carrington, Geri Allen @ Cadogan Hall, EFG London Jazz Festival - November 19 - 19th Nov.
David Murray (tenor, bass clarinet), Geri Allen (piano), Terri Lyne Carrington (drums). 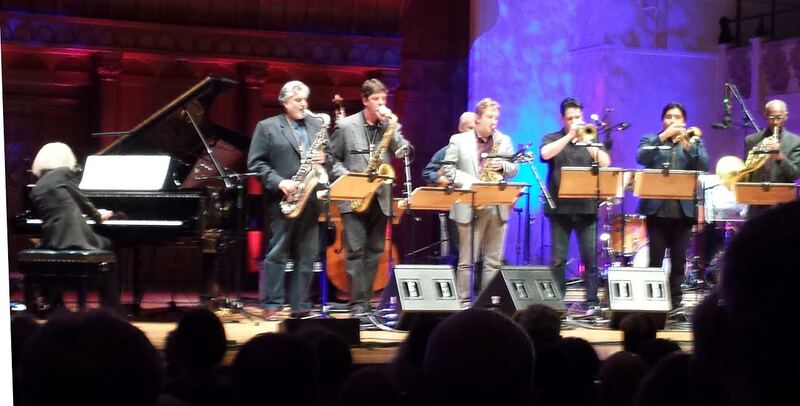 This was the big Jazz night. 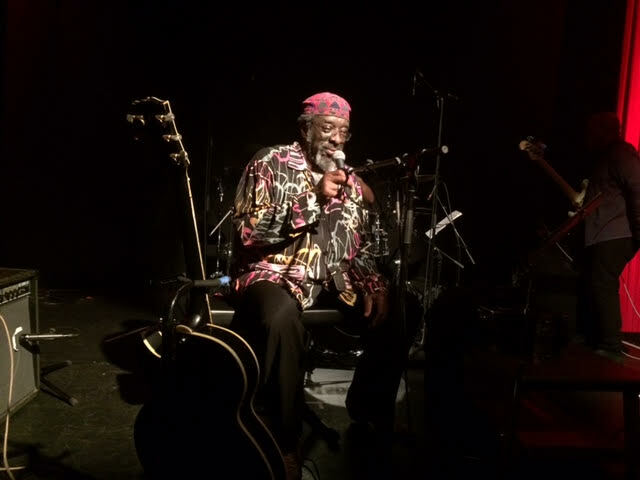 Kandace was as much soul, Blood was as much funk and Billy Bell was all about the soul. The second Saturday promised two premier league female Jazz artists and a pair of tenor titans. The last time I saw these two ladies they were with a third; one Esperanza Spalding who caused a veritable tsunami with a vocal performance fifty minutes in and turned up at Sage Gateshead with Jack Dejohnette and Joe Lovano a few months later. This time out they were joined by saxophone colossus (is this title transferable?) David Murray. William Bell @ Barbican London EFG Jazz Festival November 18. All them Stax songs ya'll. When Simon Mayo asked him (nicely) on Radio 2 last Wednesday how it fit into a Jazz Festival, he replied that Sonny Stitt once did one of his songs. Jazz, soul, funk, blues, he went on, on the night. It's all Black Music and, at its best, it's all soulful music, and any listeners who don't get that miss so much. He's more youthful than you'd think from the artist who scored the first hit on Stax at the start of the sixties, but his career was interrupted by two years in the military, indicating how young he was at the time. Roald Dahl's famous children's story may seem an unusual feature here but, we at BSH, cover many aspects of music and the fact that this production has a live band and is packed full of songs that will appeal to all the family with an emphasis on the big band music and Broadway show songs of the '40s & '50s suggests that, even though the 'recommended ages' are 5-11, the mums and dads will enjoy it too. Me? I'll be wearing my Harry Potter outfit. The show runs until December 31. John Wilson Orchestra w. Kim Criswell & Matthew Ford @ Sage Gateshead - November 21. My timbers shivered as I awaited the Quaylink bus to paddle me to Sage Gateshead - it was that kind of day! It occurred to me that I wouldn't have endured this weather to see the films let alone the songs and soundtracks. However, meeting up with Liz, Margaret, Valerie and Jane soon warmed me up and, upon reflection, often the songs and soundtracks were better than the storylines anyway. Certainly, the near capacity audience at this matinee seemed to think so. No way could it be described as a jazz gig although there were quite a few jazz names in the line-up. Alfred Newman's Street Scene from How to Marry a Millionaire (1953) is one of the most evocative film scores and even without Monroe, Bacall & Grable I wasn't complaining. After all, I had Liz, Valerie, Jane and Margaret. And then Kim! Ms. Criswell sang I'm the Greatest Star from Funny Girl and, if she isn't, then she should be. Love of my Life from The Pirate gave way to Matthew Ford telling us that Something's Gotta Give (Daddy Long Legs, 1955). At short notice Peter Gilligan stepped into the breach to replace the previously advertised attraction. 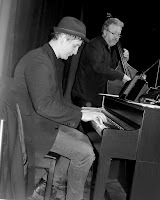 Blaydon Jazz Club is known as a bastion of the Great American Songbook and pianist Gilligan is well acquainted with it. 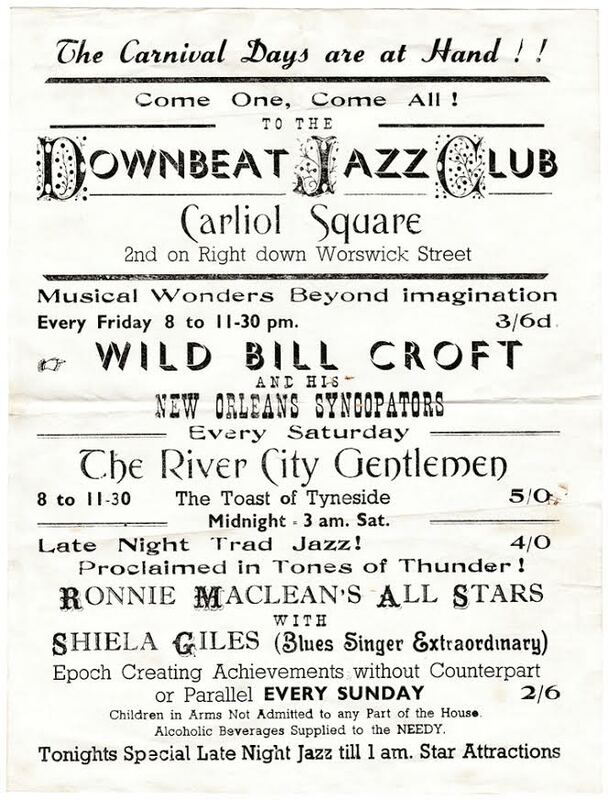 Working with club promoter Roly Veitch there was never any doubt they would come up with a set list to win the approval of the Bridge Street audience. Pianist Peter Gilligan is to shed his winter wardrobe in favour of shorts and deck shoes. The long time resident of the northeast, mainstay of the Newcastle Jazz Café’s top rate jam session and accompanist to many fine singers, Gilligan is heading to sunnier climes. The offer of a plum job working aboard a luxury cruise ship in the South Seas was one, as the saying goes, he couldn’t refuse. As winter begins to bite here at home, Gilligan is about to get some sun on his back crossing the Pacific Ocean playing a top notch piano, drinking cocktails and having a ball. Someone’s got to do it! The jam session continues, life goes on and PG will be back…tanned, no doubt. 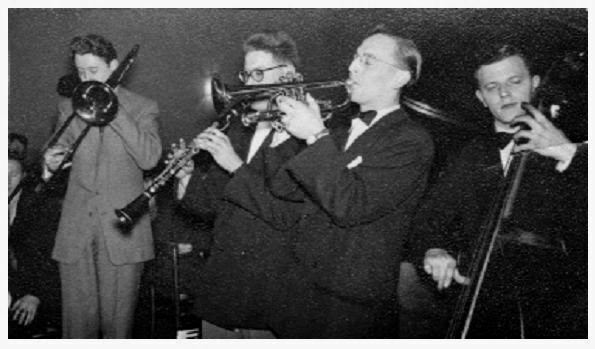 The attached photo shows the Panama Jazzmen frontline that won the Clem Millard Jazz band competition at the Oxford Galleries in 1955 but with Dave Thurston on Bass. At that time the Panama used several bass players as available. Barry Philips ( also a guitar player of some note). I was using a German Oehler system clarinet prior to my graduation to the Bohem System as can be seen in the solo photo from the same session as the group picture. Sorry if I am being a bit of a bore but the Panama of the mid 1950's was a very good band and should be recorded at least pictorially since i have not been able to locate the tapes from one session that I am certain was recorded at the City Hall concert in I think 1956 (Newcastle Arts Festival). 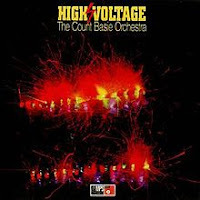 Who are the Liberation Orchestra, and why do they exist? Well, there’s currently 12 of them, and their full name supplies at least a clue to their origins: the Charlie Haden Liberation Music Orchestra has been going since 1969. 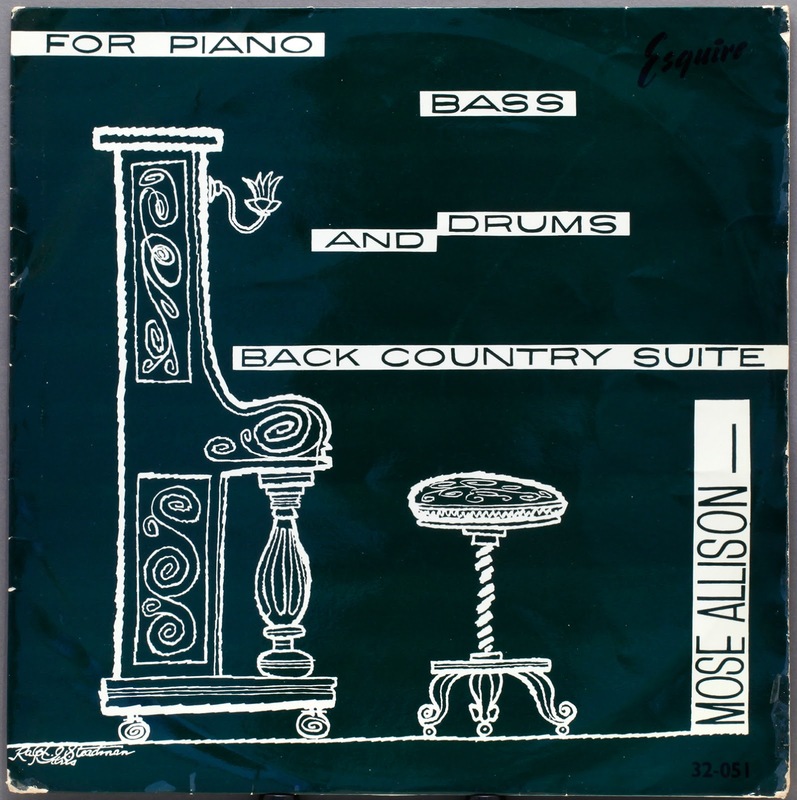 From the outset, the late bassist and composer worked with pianist, composer and arranger Carla Bley, with the idea that jazz could be used to highlight social and political abuses around the world. Introduced by Haden’s widow Ruth Cameron, this EFG London Jazz Festival gig featured material taken largely from their wonderful new album Time/Life – the last one to which Haden himself contributed. You might have expected some anguished speeches about recent events in the USA. In fact no mention was made, nor did it need to be: as they trooped on stage they looked less like an orchestra than the shell-shocked remnants of a defeated army. After all, every principle they have ever stood for or made albums about – human rights, political freedom, the environment, an end to poverty - is about to be trashed on their own doorstep. 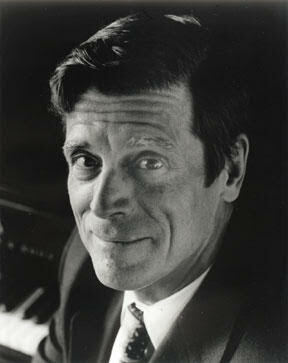 Bebop pianist Hod O'Brien passed away peacefully at his home in Palmyra, Va aged 80. An unfamiliar name to many yet revered as a legend by those who knew him as will be seen from this biography written whilst he was still alive and active. Rest In Peace. Thanks to Jack Goodwin for drawing Hod's death to my attention. 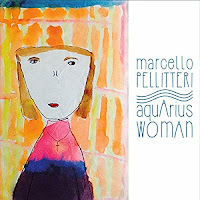 A poignant tribute to Pellitteri's daughter, Veronica, who passed away at the age of 23 in 2014, Aquarius Woman, even without the emotive background, would still be one hell of a record. In fact, I doubt that the leader was looking for the sympathy vote, much as it would be appreciated, but rather that he paid respect to his daughter by dedicating the best music he was capable of to her, ensuring her memory would be carried beyond family and friends. 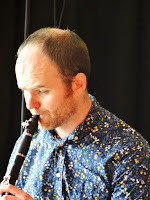 Received this email and pics from Australian expat Northeast sax and clarinetist Don Armstrong. 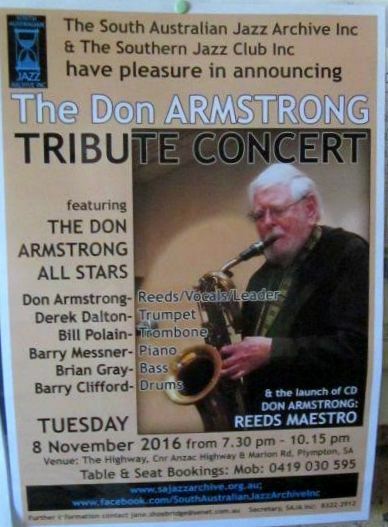 "I thought it might be of some local interest to see news of myself and Derek Dalton from Adelaide where the Jazz Archive of South Australia recently held a tribute night (I thought tributes were for dead people) announced by the attached flyer. 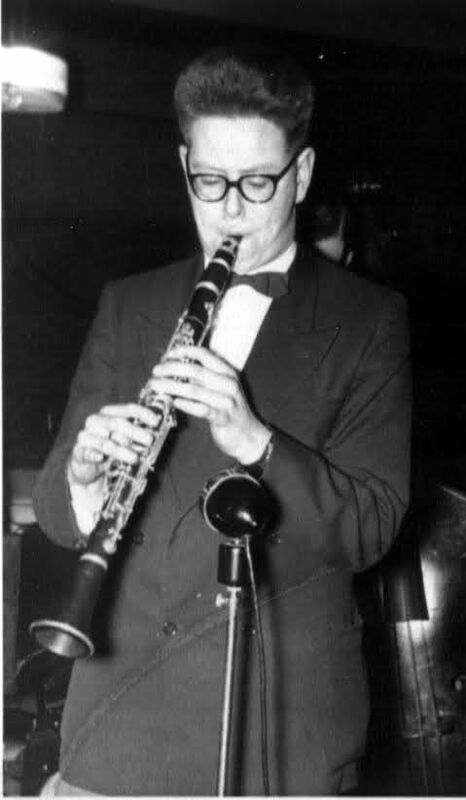 Much water has flowed under the bridge since the two early photos a) myself playing my ancient straight necked tenor with the Carr brothers and Ronnie McLean at the Pelican Club in ?1955/6 and b} with the Panama Jazzmen around the same time. 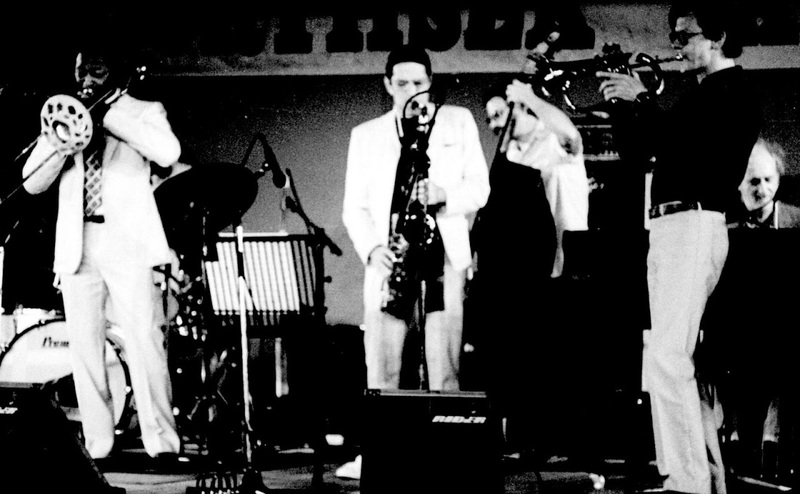 The third photo c) shows the Allstars Tribute Band with Derek Dalton on long Cornet. Derek played with Gordon Solomon in the Phoenix Jazz Band in Newcastle in the 1970's as well as in big bands at the Oxford Galleries, in Blackpool and with Ken MacIntosh in London." In the absence of Mick Donnelly the band looked to Ray Dales to lead from the front, select a few tunes and keep the regulars happy. 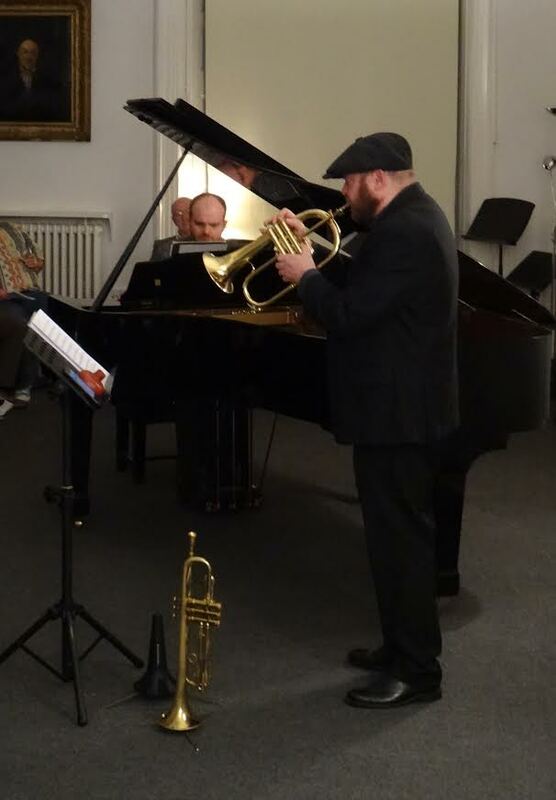 Bill Watson (trumpet and flugelhorn) took the lion’s share of the solos with John Hudson (tenor) and Dales himself (alto) a soloist. Opening with Blueberry Hill the numbers should have come thick and fast. It didn’t quite happen like that with lengthy breaks between tunes as the laid back Dales took time to call the next one. Not entirely the Basie we've grown up with. The earthy, blustering swing of the Kansas City days are gone and there are no new pieces to match the pinnacle that was The Atomic Mr. Basie. On the plus side, there are no Beatles or James Bond numbers which had been the theme of albums preceding this 1970 recording. Instead, we have an album of standards that display the band as a most superior dance band, and I'm not using the term in a derogatory manner. They'd just completed a ten-day cruise of the West Indies on the QEII and, obviously, the mixed audience weren't looking for Flight of the Foo Birds or Splanky. A Sunday evening on Framwellgate Bridge, the door to 35c firmly closed. Buzz for jam session read the handwritten note pinned to the door. 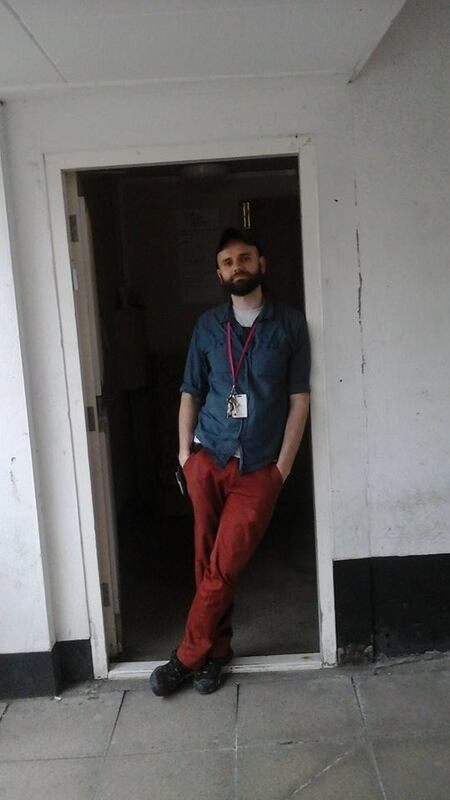 Speakeasy-like, the Empty Shop’s main man Carlo (pictured) opened the door with no little suspicion. Upon recognising the jazz fans standing on the doorstep, the main man granted admittance to Durham’s best kept secret. Trane could be heard on the ascent to the first-floor venue, floorboards creaking in semi-darkness…your everyday welcoming jazz joint. 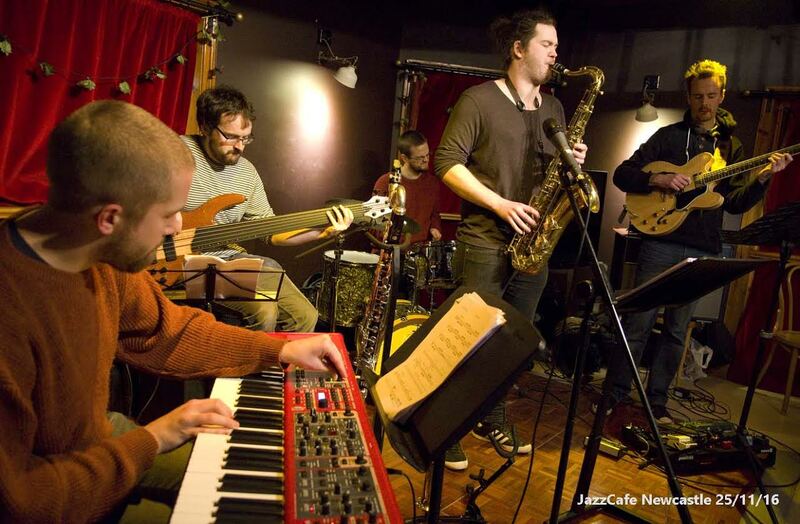 Durham’s recently established jazz jam session is the place to hear what’s going down. They should have named it - Before and after Dwight. Before: it’s a packed house, as Halsall and his band settle into a mellow, somewhat spaced-out vibe, based on simple grooves rather than chord sequences. 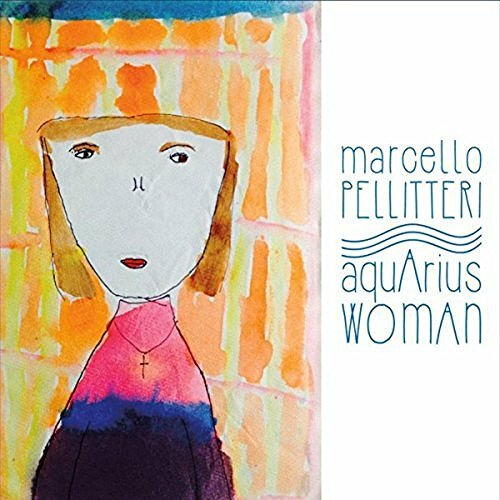 This music is clearly influenced by the other-worldliness favoured by the likes of Pharaoh Sanders, Carla Bley and Alice Coltrane. Beginning with a stately, Indian-flavoured tune, Jordan Smart’s flute and Amanda Whiting’s harp take the lead roles. The Orchestra then strike up a number in 6/8, and for the first time we are treated to the beautifully clear, vibrato-free tone of Halsall’s trumpet. Spacy, ethereal harp twinkles and shimmers on the next, a lengthy modal piece, Taz Modi thrumming the strings of his piano. And the next tune is even more minimalist, leading one to speculate that these lovely meditative numbers are probably born of free jamming that goes on for hours. It promotes a pleasant mood of groovy introspection. 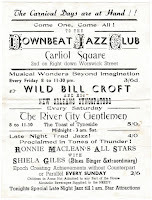 Brian Bennett sent me this bizarre poster re the Downbeat Jazz Club from the 1950s or maybe early '60s. Brian suggests that River City 'Gentlemen', Herbie Hudson or Ray Shenton may be able to pinpoint the precise date. Drummer Abbie Finn came to prominence in the Durham County Youth Big Band. At present studying at Leeds College of Music, Finn recently made a big impression when sitting in at the Jazz Café’s regular jam session up the road in Newcastle. 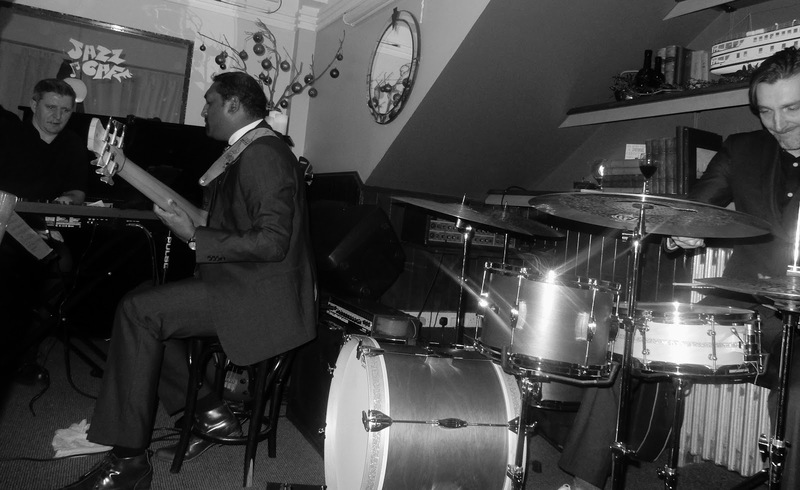 A Darlington Jazz Club engagement at the Quakerhouse is a home turf gig for Finn and no doubt felt relaxed about performing in front of so many familiar faces. 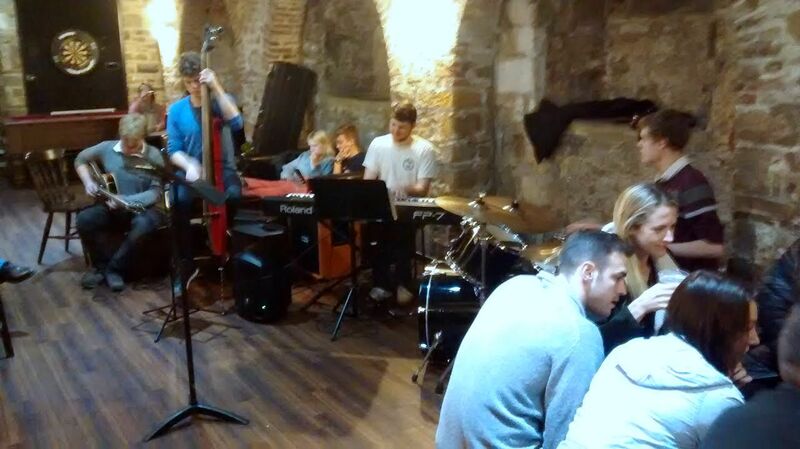 Joining the drummer on an early Sunday evening gig were fellow Leeds undergraduates Joe Whettam and Alistair Rhodes. James "Blood" Ulmer (guitar, vocal), Mark Peterson (bass guitar), Aubrey Dayle (drums). This is my fifth consecutive London Jazz Festival but the first time I wanted to go for the endurance, or at least nine out of the ten nights. Things were already skewered by events back home in the North East, including The Cookers and Robert Glasper swapping nights with London. I knew early on I was going to the second Saturday so Plan A was Tuesday to Sunday. When James ‘Blood’ Ulmer was announced for the first Sunday, two trips became the only solution. The room was chockablock with musicians and enthusiasts. It looked to be going to be another good evening as the trio took off with Have You Met Miss Jones? No? Well, you have now and, even though she's 80 years old, remains as responsive as ever, particularly in the hands of the Gilligan Trio which, this week, had the ever impressive bass guitarist Krishnan at its core. Jim Hall's Waltz New, which everyone thinks is Someday my Prince Will Come, switched from 3/4 to 4/4 without any obvious join and it swung. My Funny Valentine had Krishnan playing the melody. Rich-toned and as sonorous as a double bass. Singer, pianist, composer, bluesman, jazzman, and occasional trumpet player, Mose Allison passed away yesterday, November 15. 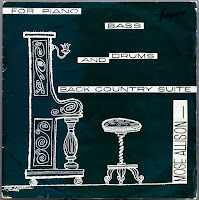 A pianist and singer steeped in the earthy country blues of the deep south Allison could also hold down the piano chair with musicians of the callibre of Stan Getz, Gerry Mulligan, Al Cohn and Zoot Sims. That these players were, at Parchman Farm that first drew him to my attention - mine and Georgie Fame's, who recorded a cover. I had the good fortune to hear him at one of the North Sea Jazz Festival's in the early '80s where he performed with his trio and as part of a Shelly Manne Sextet that also included Curtis Fuller and Alan Eager and he didn't disappoint. In the photo Allison is at the right, partially hidden. There was also a TV documentary some years back that gave an insight into this unique performer unfettered by genre.